Armando Romero’s career is one to be envied as during his formative years he was taught by tutelar Mexican artists such as Juan Soriano, Francisco Zúñiga, José Luis Cuevas and many others. Although he was influenced by the muralists and their practices, especially by Siqueiros, he also fought against their academic pedagogy. 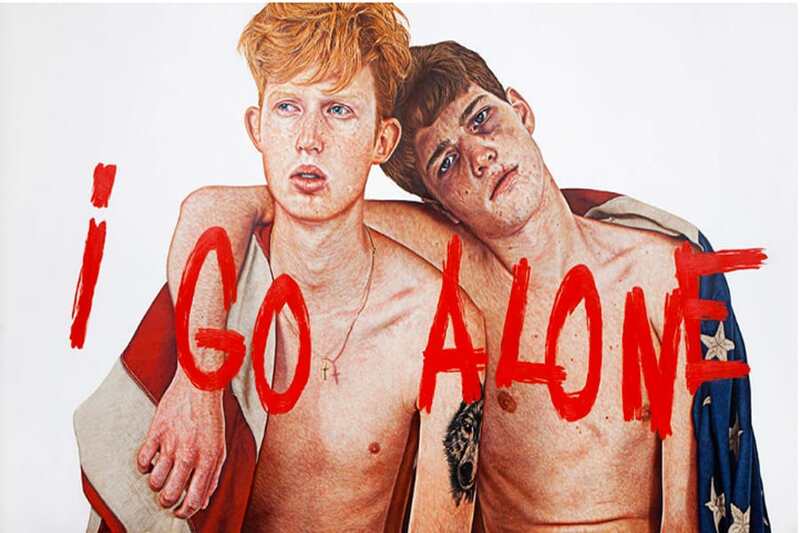 His artworks often, if not always, confront the spectator with paradoxical “realities” and aesthetics within his canvases. This is not as irrational as it seems, Romero follows the Hegelian triad – thesis, antithesis and synthesis – in order to explore the possibilities that the pictorial space has to offer and to give as much data as possible to his audience. He is inspired by other triadic semantics such as the one conceived by Joseph Kosuth in his conceptual artwork One and three Chairs where 3 realities are confronted – the material object, a photograph of the chair and the definition of the word chair: language, material reality and image, three realities, three experiences to grasp the world. Romero’s dialectical images can be interpreted in a variety of ways and the spectator chooses and is encouraged to adopt and experience multiple viewpoints. Thus he invites the spectator to question the long-lasting reigning norms of the art world. Even though all the “academic” rules are the legacy of Western academies and movements, they have an impact throughout the world. This could explain why Romero is still regarded as irreverent, as he never adhered to any of the avant-garde movements and always proclaimed his independency. Romero is a Steppenwolf, one of a kind. Not only does he reject outdated quarrels among both noble and popular ways of expression, he also questions our Eurocentric perception of art. For instance, for Romero and other Mexican artists, ugliness and the grotesque are part of the pre-Hispanic aesthetics and thus relative. Pre-Hispanic aesthetics, described as “ugly” and “grotesque” during the XIX century are as worthy as the beauty canons imposed by the European academies. Furthermore, Romero questions the notion of “kitsch”, a term coined by the American art critic Clement Greenberg. In his essay Avant-Garde and Kitsch, Greenberg explains that kitsch is “destined to those who, insensible to the values of genuine culture, are hungry nevertheless for the diversion that only culture of some sort can provide”. Romero, unlike Greenberg, doesn’t condemn the popular culture, his sculpture Payaso (2015) bears witness to this belief: a clown sculpted in what seems to be marble appears vandalised. In it we can read the names of the American artist Donald Judd, the avant-garde movement Fluxus, and even the name of the Greenberg; alongside all these “high” culture references, the portrait of Don Ramon (a popular character from the Mexican TV show El chavo del ocho) appears, breaking the harmony, mingling all the symbols together defying this sclerosed assumption. Romero is an iconophile: religious and art history iconography along with comic personages are omnipresent in his artworks. 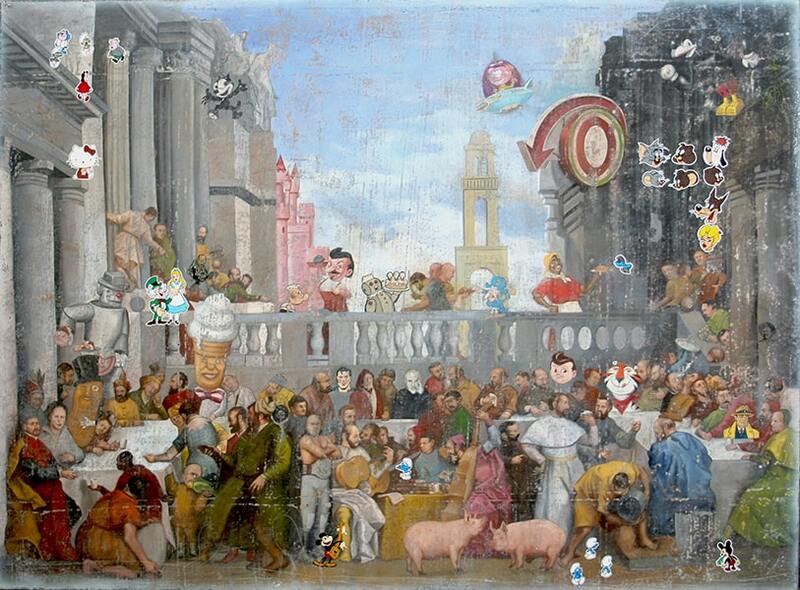 From Las Meninas of Velazquez and Bosch magic creatures to The Jetsons, The Pink Panther and Superman, these superheroes and pop culture icons populate his universe and through them he challenges the separation between high and low art. His visual repertoire is composed by infinite images, which, like many artists from his time, he was exposed to throughout his life. This exposure is the product of a cult we profess towards, the cult of images and their omnipresence in our everyday life. 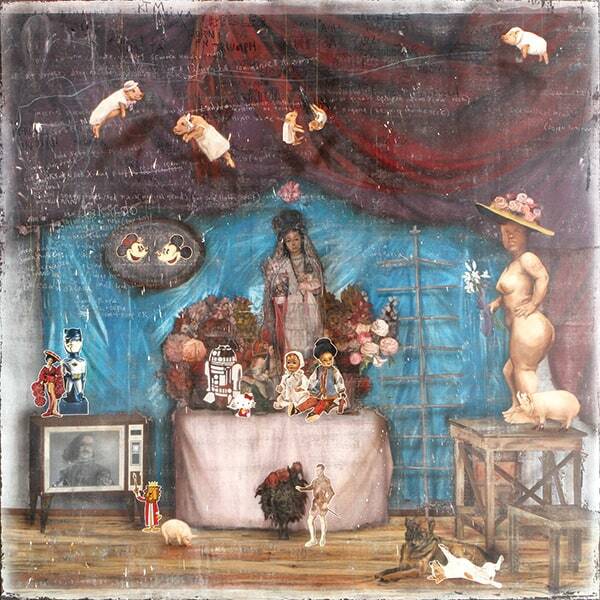 In his painting La Mona no está lisa (2015) the eponym woman shares the canvas with the hatter, a fictional character from the film adaptation of the book Alice in Wonderland by Lewis Carroll. 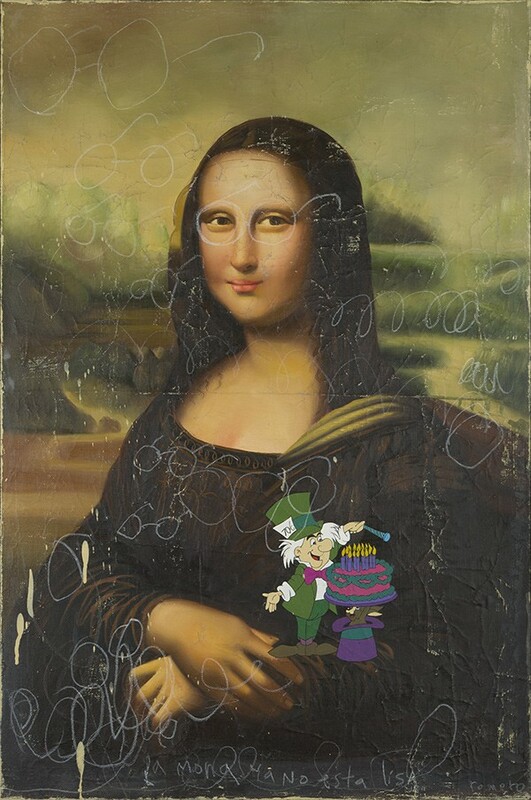 In this particular painting, Romero also makes reference to the creator of the ready-made, Marcel Duchamp and his work L.H.O.O.Q (1919) where the latter painted a moustache on the Mona Lisa’s face, yet another act of irreverence that demonstrates the painter’s connoisseurship of images. Rather than “copying”, – Romero follows a long line of creators practicing the art of the pastiche – he beguiles the spectator with his contemporary “trompe l’oeil”, presumable stickers juxtaposed within the painting and painted by the artist. He often creates amusing fictions combining graffiti, photography and painting, reminding us of the assemblages of Robert Rauschenberg. Laughter is an indispensable element pervading Romero’s paintings and sculptures. According to the French philosopher Henri Bergson, laughter and humour are two assets inherently human. In his book Laughter (1900) Bergson explains that laughter and the comic derive from particular social situations and can lighten relationships between individuals. Armando Romero ludicrously addresses his audience by disassembling the hermetic walls that often surround contemporary art. Historia de Ziggy Stardust y las arañas de Marte (2005) is a canvas referencing not an artist or philosopher but the famous song Ziggy Stardust by the British singer David Bowie; Romero creates a bond with his audience by evoking cultural phenomenon that everybody can relate to. Armando Romero doesn’t pertain to a particular “school” of artist, he dodges stigmas by constantly juxtaposing concepts: Walter Benjamin’s “aura” and Marshall McLuhan “copy”, critiquing the “spectacle society” and at the same time praising it. Unconventionally, the artist separates from his predecessors, even with his acolytes, by creating a unique “style” and iconography. Romero is compelled by desires, remembrances and human experiences more than by philosophical currents. Like Proust, he condenses in a canvas multiple temporalities, that all exist at once. What he seeks to develop is a converging and fusing of epochs as well as different “cultural temperatures”. To Armando Romero, what persists is the human experience and our memory not the rules emitted by a detached elite, the ultimate duty of the artist is to convey emotions and to share his humanness with others. 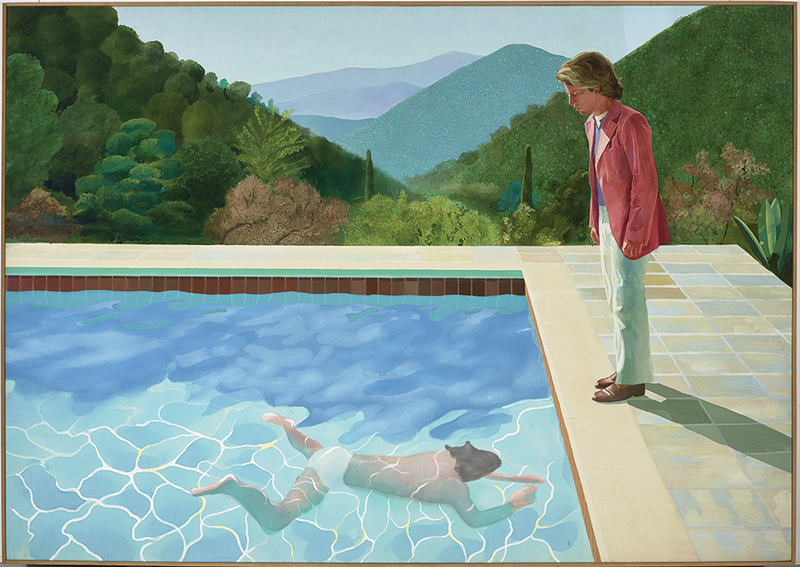 Conjointly with the Tate modern and the museum of contemporary art in New York, the Pompidou centre is dedicating a retrospective to the British artist David Hockney. Matthew Brandt, an American photographer based in Los Angeles, creates visual compositions where experimentation is the crux of his artistic universe. The Kid, combine different iconographies in order to grasp the future of a seemingly lost generation and to find a sense of reason amongst the rubble.